ISRAEL – Prime Minister Binyamin Netanyahu announced that the Israeli government is launching a Farsi website with detailed plans on Israeli water conservation technologies and strategies in a purported attempt to direct information to the Iranian wastewater industry (which as of 2017 had increased its capacity by a quarter within a four-year period). According to Netanyahu, millions of Iranians are suffering from the regime’s mismanagement and the theft of vital resources—and his nation’s experience in overcoming its own water challenges puts it in a good position to help Iran overcome its own water scarcity. Israeli company IDE Technologies has acquired a 49% stake in the Sorek Desalination Company (SDL) from Hong Kong-based Hutchison Water at a cost of $54 million. IDE exercised its first refusal rights when Noy Fund attempted to acquire Hutchison Water’s share in the desalination facility. Once the acquisition is complete, IDE will have 100% ownership of the SDL company, the franchise for the Sorek facility. On Sunday Israel’s cabinet approved an emergency measure to transfer desalinated water to Lake Kinneret (the Sea of Galilee) for the first time. 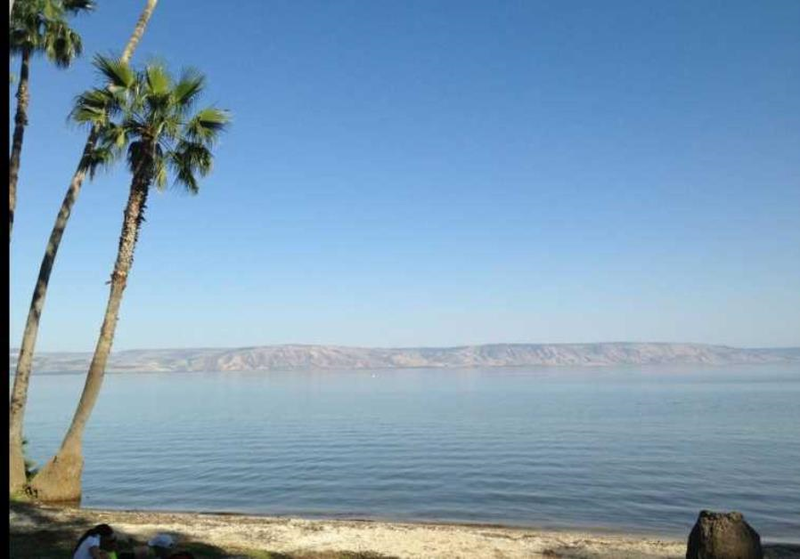 Usually water is derived from the Kinneret and carried throughout the country. Now, desalinated water is going to be transferred to the Kinneret, a process that Netanyahu liked to turning the Sea into a reservoir . The expectation is to pump 100 million m3 of water per year into the Sea. CHILE – Chile’s Trends Industrial and the Saudi company Almar Water Solutions signed a Memorandum of Understanding (MoU) to collaborate on the development of a large-scale solar powered desalination plant in the Atacama region of Chile. Almar has provided financing of $500 million and has now become an investor in the Enapac project. The scheme consists of a seawater desalination project for Atacama that will be supplied with its own source of photovoltaic energy. Upon completion it will become the largest desalination plant in Latin America with an output capacity of 224,640 m3/d, and will be one of the largest solar desalination projects in the world. INDIA – To ensure compliance with Tamil Nadu Pollution Control Board (TNPCB) norms, more than 35 textile processing units and companies at SIPCOT, in Perundurai, will adopt zero liquid discharge (ZLD) technology to process their wastewater. The availability of quality water and the ability to treat textiles in a cost-effective manner has become a key challenge for the textile processing sector. Tamil Nadu has so far been a pioneer in the adoption of zero liquid discharge technology to treat textile effluents. “Rise in National Wastewater Capacity,” Financial Tribune, August 2, 2017, <https://financialtribune.com/articles/energy/69734/rise-in-national-wastewater-treatment-capacity> accessed June 12, 2018. Gary Willig “Netanyahu: My unprecedented offer to Iran”, israelnationalnews.com, June 10, 2018. <https://www.israelnationalnews.com/News/News.aspx/247228> accessed June 11, 2018. Shai Shalev “IDE buys Hutchison stake in Sorek desalination plant”, globes.co.il, June 10, 2018. <https://www.globes.co.il/en/article-ide-buys-hutchison-stake-in-sorek-desalination-plant-1001240735> accessed June 11, 2018. Max Schindler “Amid drought, desalinated water to be transferred to Sea of Galilee”, jpost.com, June 11, 2018. <https://www.jpost.com/Israel-News/Cabinet-approves-transferring-desalinated-water-to-Kinneret-559643> accessed June 11, 2018. Pilar Sanchez Molina “Chile: desalination project powered by 100 MW of solar gets initial financing”, pv-magazine.com, June 7, 2018. <https://www.pv-magazine.com/2018/06/07/chile-desalination-project-powered-by-100-mw-of-solar-gets-initial-financing/> accessed June 11, 2018. “Textile processing units to comply with all TNPCB norms”, outlookindia.com, June 9, 2018. <https://www.business-standard.com/article/pti-stories/textile-processing-units-to-comply-with-all-tnpcb-norms-118060900859_1.html> accessed June 11, 2018.